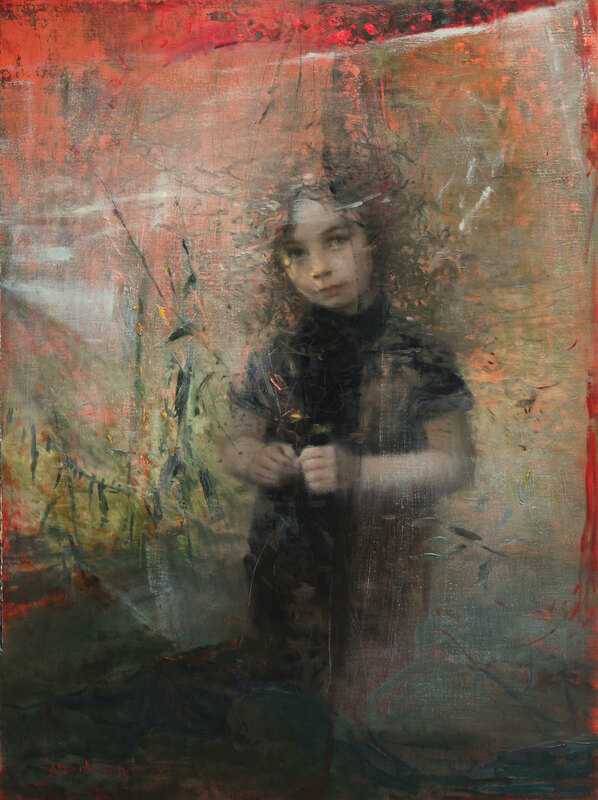 Stanka Kordic is a first generation Croatian American artist. She first studied illustration and painting at the Cleveland Institute of Art, and then began traveling Europe, taking in as much art as humanly possible. She returned to work as an illustrator for several years, but in pursuit of artistic freedom she left the commercial world to establish her professional art studio, concentrating her efforts on painting the landscape and figure. 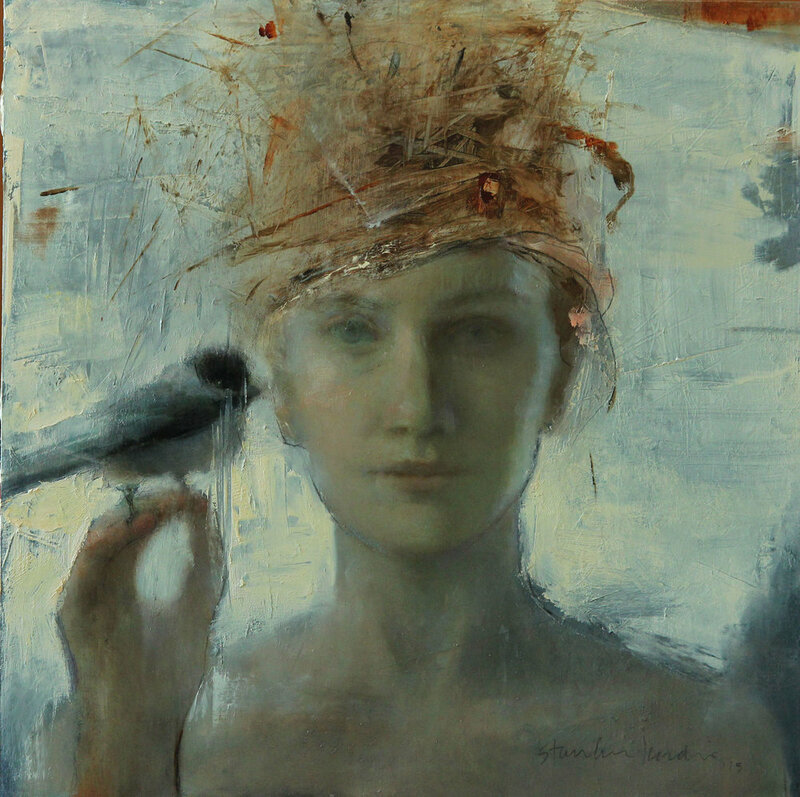 Since 2009, her focus has been on developing her personal figurative work. People. People have always been my first love, ever since the time I was a child. As a little kid, when everyone was drawing horses or flowers, I was over in the corner drawing people. 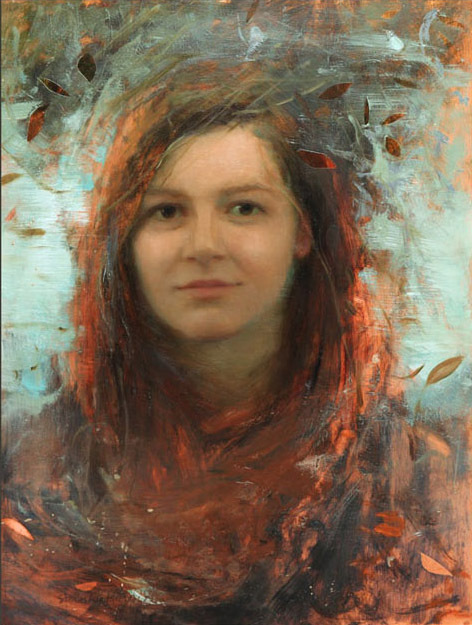 I consider myself an introvert of sorts; I’m always observing people, and little nuances in their faces, so I feel it was only natural for me to paint the portrait. That has been my gift and my direction, and is also a kind of grounding force in what I’m doing now. I consider it a portal that leads me further into the paint, because my interest is really about that dynamic—of what that person triggers in my paint making, or my mark making, which then takes on a life of it’s own. I'm also drawn to the female as a figure, and usually a single figure, because I find this way it's more of a personal conversation between the viewer and the painting. When it’s more than one figure it’s almost like a narrative, where you’re the observer of these two people on the canvas. But when it’s a single figure, especially when the eyes make contact, I feel there’s more of a conversation there. I’m interested in that kind of conversation with the viewer. Whatever comes out of that I don’t need to know, I’m just offering it up as an opportunity for the viewer to connect with this person. What inspired you to develop your unique style? To be honest, this whole trajectory of my work has been so unplanned. I've been painting pretty representational for most of my life, although I did study with all types of teachers in school, from Op artists to very traditional painters. I appreciated all of that, but never imagined I'd eventually bring all of these influences together. Then in 2004 I started practicing yoga and meditation. I think that was a huge mind opening experience for me. I completely dove into eastern philosophy, and the whole manner of living —not just thinking— associated with it. Then this process just started to show up at the easel without my even being aware of it. I also feel at that time I'd simply become bored with painting what I call 'straight up figures'. I remember thinking to myself, is this it? What if I don’t want to just paint a flower leaf like this? Or, why do I have to make the sky blue? This kind of questioning... why can’t I use my fingers, why can’t I throw on a different layer of something else I’m not actually seeing there? A lot of questions that almost a child would have. What's interesting is that when I was in fact a child, I always painted within the lines... I didn’t get messy, I didn’t explore a whole lot. I grew up very structured and disciplined. So in a way I think I’m sort of reverting back to all the things I didn’t do as a kid. Now I never have a set plan for what my next painting will look like, and it’s been both very painful and exhilarating at the same time, because I go way down and then come back up to some kind of crescendo. It’s also fascinating, because I tend to witness it as an observer as well. I feel like I’m somewhere else watching it all happen, and am just as interested in what will come next as anyone who’s intrigued by my work. What advice would you give to artists who are trying to find their own way through this type of process? You just have to start doing it—start listening to yourself, and taking in the experience of the world around you. You know I’ve been doing these workshops, and it’s very gratifying, but I find it's also difficult to express this process to people who are looking for a more linear, conceptual method to follow. I know it’s helpful to a lot of people, but I also find it's frustrating, because I don't believe you can put the entirety of the process into words. I also find that sometimes people end up doing things abstractly that are very contrived—they may take my tools and just rub the paint all around, but they are doing it without awareness, without a sense of craft, and sometimes it's hard to show them the difference in that. Yet at the same time one does have to start somewhere. Playing at first, is key. In my experience abstraction is often more difficult than representation, because there's no point of reference. It's truly design and intuition rolled into one. And where do you feel your explorations are leading you now? I’m in the baby stages of working with this idea in my mind that hasn’t fully downloaded yet, but it has to do with going deeper into the multi-layered aspects of experience. Where it’s about more than a painter just standing in front of an easel and putting down what they see, it’s about the totality of living... the totality of who you are, of what you take in and what you’re responding to. The surface I'm choosing to work on these days is wood, it’s birch. I think I'm drawn to it because it’s so unforgiving—it’s hard to work on, it’s dry, it’s very textural, and most painters would absolutely hate it. But I like to fight with it a little bit, because it gives me that grit that I’m really craving from the work now. I actually have one on the easel at the moment where I’m just slopping stuff on and rubbing it off, and it’s fun! However I do find that many realist painters today are really only operating on one level—the skill level, the cognitive level... yet I also feel that learning to move beyond this is almost like developing a kind of muscle memory, in the sense that they're just not used to using these other faculties, and need to start opening up new pathways. Because ultimately, I do believe that we are vessels, we are conduits. I really feel all creative people are visionaries; that we're here to help others discover more within themselves, and become more comfortable with what they find.